Extremes are right at home at terraXcube, the research infrastructure in the industrial area of Bolzano Sud: temperatures between -40 and +60°C, artificial solar radiation even when it’s night, 60 mm of rain per hour even when it’s bone dry outside, 5 cm of snow per hour even in the summer. The extreme climate simulator terraXcube is cemented into the NOI Techpark and yet can “climb” up to 9,000 m above sea level. The pressure and oxygen concentration can be adjusted to precisely simulate the conditions of the highest peaks on our planet. 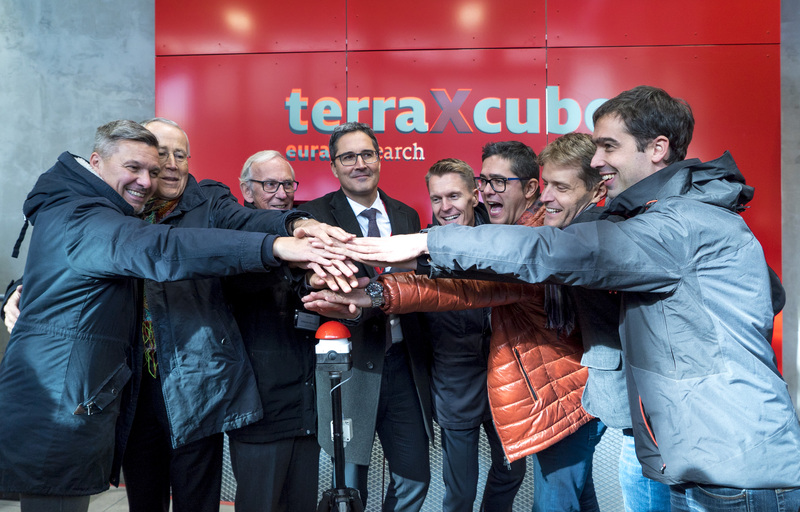 This is why terraXcube, inaugurated on Friday morning in the presence of the Governor of the Autonomous Province of Bolzano/Bozen, Arno Kompatscher, and national and international experts, offers unique conditions worldwide for new research in the medical, ecological and industrial fields. Read the full news in Italian and German.